The Progenics Pharmaceuticals 2018 annual meeting is June 13. Vote AGAINST Crowley and Kishbauch, the stock incentive plan and FOR proxy access amendments to enhance long-term shareholder value. Vote to make our great company even better. Progenics Pharmaceuticals, Inc. (PGNX) develops medicines and other technologies to target and treat cancer in the United States and abroad. Most shareholders do not vote. Reading through 50+ pages of the proxy takes too much time. Your vote will make only a small difference. Below, I tell you how I voted and why. If you have read these posts related to my portfolio and proxy proposals for the last 22 years and trust my judgment, skip the 9 minute read. See how I voted my ballot. Voting will take you only a minute or two. Every vote counts. I voted with the Board’s recommendations 64% of the time. View Proxy Statement via SEC’s EDGAR system (look for DEF 14A). From the Yahoo Finance profile: Progenics Pharmaceuticals, Inc.’s ISS Governance QualityScore as of May 1, 2018 is 1. The pillar scores are Audit: 2; Board: 2; Shareholder Rights: 1; Compensation: 7. Corporate governance scores courtesy of Institutional Shareholder Services (ISS). Scores indicate decile rank relative to index or region. A decile score of 1 indicates lower governance risk, while a 10 indicates higher governance risk. We need to pay close attention to Compensation. Egan-Jones Proxy Services recommends For all board nominees, except (1A) Peter J. Crowley and (1E) Michael D. Kishbauch. Both are members of the compensation committee, which recommends a Performance Incentive Plan fails their dilution model. Vote AGAINST Crowley and Kishbauch. Progenics Pharmaceuticals’ Summary Compensation Table shows the highest paid named executive officer (NEO) was CEO Mark R. Baker at $2.3M. I’m using Yahoo! Finance to determine market cap ($648M) and I define large-cap as $10B, mid-cap as $2-10B, and small-cap as less than $2B. Progenics Pharmaceuticals is a small-cap company. According to the Equilar Top 25 Executive Compensation Survey 2015, the median CEO compensation at small-cap corporations was $3M in 2014. 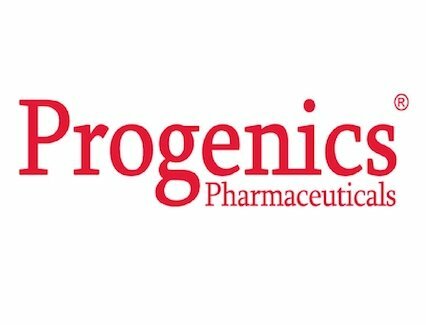 Progenics Pharmaceuticals shares outperformed the NASDAQ over the most recent one and two year time periods, but underperformed over the most recent five year time period. The ratio of the annual total compensation of the CEO to the median of the annual total compensation of all employees was 10 to 1. Egan-Jones Proxy Services uses a proprietary rating compensation system to measures wealth creation in comparison to other companies. “Neutral” is their compensation rating for Progenics Pharmaceuticals. They recommend a vote For the say-on-pay item. I have no reason to believe the auditor engaged in poor accounting practices or has a conflict of interest. Egan-Jones recommends voting against the auditor if they served for seven years. Independence becomes compromised by that time. The Progenics auditor served less than seven years and no other issues are significant. Egan-Jones notes a number of issues. Stock dilution was paramont. This is my proposal. (James McRitchie) Progenics adopted a ‘lite’ form of proxy access after my 2015 filing. Some credit is due, since the bylaws allow shareholders the right to nominate up to 2 or 25% of the board. That is better than a standard of 2 or 20%, which is common. Still, the proposal is definitely ‘lite,’ since it limits nominating groups to 20 members, instead of having no cap. The current bylaws also prohibit nominees who did not receive at least 25% of the votes cast in favor, if nominated previously. Funds are in a Catch 22 situation. If they do not acquire at least 3%, they cannot submit proxy access nominees. If they acquire 3% for the purpose of submitting a proxy access nominee, they are ineligible. Proxy Insight reported on Teacher Retirement System of Texas and Calvert. Teacher voted FOR all items, including my shareholder proposal. Calvert voted against Kishbauch and Williams, as well as executive pay and the stock incentive plan. In looking up funds on our Shareowner Action Handbook, CBIS voted AGAINST all directors and the auditor; FOR all other items. CalSTRS voted AGINST Crowley, Kishbauch and Williams, as well the stock incentive plan; FOR all other items. Directors: AGAINST Crowley and Kishbauch. Special meetings can only be called by shareholders holding not less than 50.1% of the voting power. SEC rules provide that certain stockholder proposals must be included in the Proxy Statement for our Annual Meeting. For a proposal to be considered for inclusion in next year’s Proxy Statement, it must be submitted in writing to our Corporate Secretary no later than December 28, 2018. You may contact us by writing ℅ the Corporate Secretary at our corporate headquarters located at One World Trade Center, 47th Floor, Suite J, New York, NY 10007.